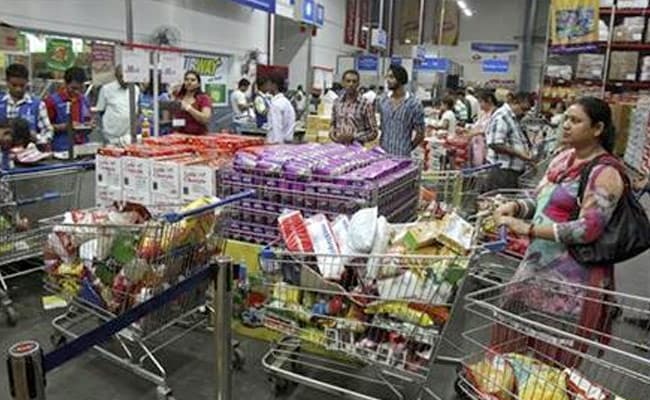 At midnight on July 1, Prime Minister Narendra Modi will formally usher in the country's new goods and services tax. At midnight on July 1, Prime Minister Narendra Modi will formally usher in the country's new goods and services tax. First proposed in 2006, the GST will subsume more than a dozen state and central levies into one tax, unifying the country of 29 diverse states and 1.28 billion people into a single market for the first time. The move should eventually expand India's narrow tax base and increase government revenues. It has been heralded by economists and will count as the most important structural economic reform of Prime Minister Modi's three-year-old administration. The new tax will boost the country's fiscal health in the medium-to-long term, wrote Eurasia Group analysts Shailesh Kumar and Sasha Riser-Kositsky in a June 28 note. "The GST is considered the most important milestone for the Modi government," they said. "It signals to investors the government's ability to deliver on its reform agenda. Once the GST is fully operational, it will be groundbreaking and significantly change India's business environment." But even supporters think it's going to be chaotic in the short-term, despite a two-month relaxation in initial filing requirements. Businesses are confused by a complicated structure, which includes four tax slabs ranging from 5 percent to 28 percent and numerous exemptions. It's also not clear what sort of damage the nationwide roll out will inflict on the India's fast-growing, $2 trillion economy before the long-term benefits kick in. "There will be disruption," said Rajeev Chandrasekhar, an investor and upper house lawmaker who is part of PM Modi's ruling coalition and sat on a parliamentary committee on GST. "There will be plenty of hiccups -- part technology, part administration." As India readies to implement the tax, attention has shifted from exhaustive legislative efforts to get India's states and political parties on-board to what happens next as millions of small businesses file taxes for the first time. Some large companies have assigned staff full-time to the transition, while others worry their thousands of small-time suppliers will find it difficult -- if not impossible -- to register online and comply with filing requirements. Everyone from businesses to the central bank will now watch for the first signs of stress as the tax ripples through India's largely informal economy. Part of the problem is that India is a "non-tax compliant" society, as the country's finance minister has said frequently. Across India, fewer than 1 percent of people pay income tax and nearly 90 percent of workers are employed in the mostly non-taxed informal economy. For many small businesses, it's not just that they -- and their suppliers -- will be paying tax for the first time. It's that the new tax is incredibly complex for businesses that may have operated only with dusty paper ledgers. "Given that literacy and digital knowledge in India varies, proper compliance with the registration and filing process is challenging," Mr Kumar and Riser-Kositsky wrote. Businesses "may temporarily cease to do business with errant filers, disrupting supply chains and the availability of goods, and fueling near-term inflation." "We are not against the GST," Mr Verma said. "But the issue is it's so complicated that a normal businessman is finding it very problematic." For larger companies, compliance has meant organizing training seminars for suppliers and vendors and assembling dedicated GST teams. Aditya Gupta, head of business development for logistics firm Drive India Enterprise Solutions Ltd., said the firm has assigned four executives to work full-time on the new tax -- and that doesn't even include international tax consultants. "An entrepreneur, instead of running a business is now running after auditors," said Raghunathan, president of the manufacturers association who lobbied to have the GST roll out delayed. He said chartered accountants across the country are charging as much as 15,000 rupees ($232) to help register small businesses with the GST's free online portal. India's inflation has eased to a record low of 2.2 percent, below Mexico and Turkey, as the central bank's battle against price pressures gains traction. It could ease further as a result of businesses offering hefty discounts to consumers as they offer "GST sales" to draw down inventories before the July 1 deadline. On June 22, central bank Governor Urjit Patel said the new tax will create a national market, broaden the tax base and lower overall tax rates in the long-term. "GST itself is part of the digitisation revolution," Mr Patel told an event organised by industry lobby IMC Chamber of Commerce and Industry, adding that along with other reforms the new tax has the "potential to broaden the tax base considerably."